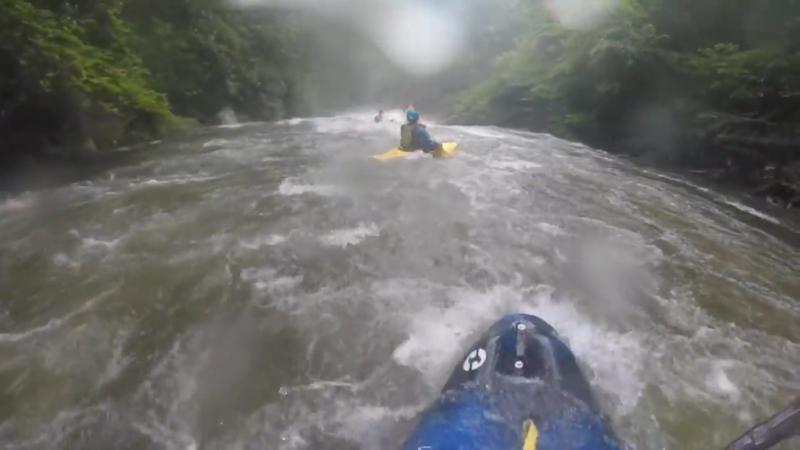 Descending rivers by kayak is in itself a fast-paced discipline and only suitable for the bravest. But to dare to do it in the wildest rivers is a madness within the reach of very few. A wild and impetuous river, with numerous obstacles in the current, will provide adrenaline to every fan of the descents. But paddling through the bravest rivers on the planet sometimes carries committed moments like the ones we can see in this video. In this scenario, a group of kayakers faced the challenge of going down by sailing these waters until they reach the sea. A journey of several kilometers, crossing several impressive canyons and continuously exposing themselves to dangers and accidents of which they would have to leave by their own means due to the inaccessibility of the place. Extreme kayaking leads the most intrepid paddlers to face the most dangerous rivers in the world. In their wild waters they look for new challenges that make them release the adrenaline to inhuman limits, but unfortunately it does not always go as planned. A good example of this is this video that we bring you today. Difficult moments that fortunately our protagonists managed to leave without regretting a tragic outcome. Paddling by a river and facing the rapids, whirlpools and rocks of its channel is not a challenge that anyone can face, but as we can see these images these paddlers are made of another paste. The river kayak is considered one of the extreme sports most sought after by people who love adventure and extreme experiences. In addition to requiring the learning of the specific technique, it requires a lot of practice. To carry out a kayak tour, it is necessary that the interested party has experience, since, because of the specialized nature of the activity, it is not a tour for beginners. Before starting the tour it is necessary that the person define the specialized equipment and the appropriate kayak to the size of the person. 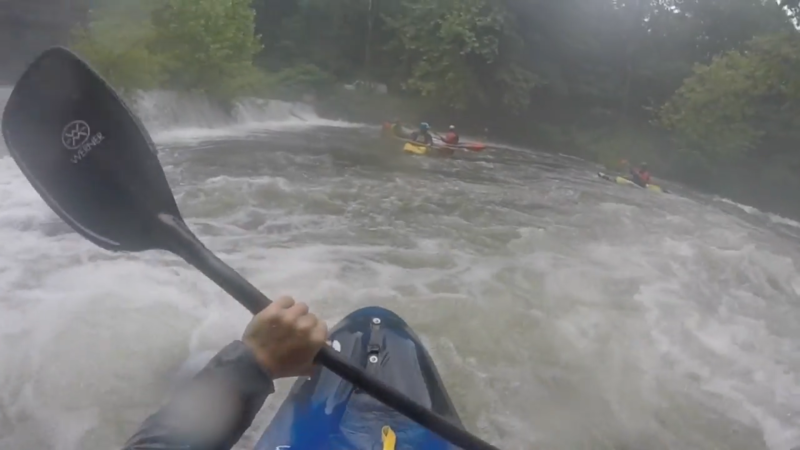 In case people do not have enough practice to descend in kayak, we recommend using duckies, which are inflate kayaks designed to travel sections of rapids. For this type of boat, the specific knowledge of river kayaking is not required, but if you have a little previous experience in rafting or any type of rowing, as well as a lot of willingness to experience a very exciting trip. The duckies can be of one person or two people, and if they require it they can be accompanied by a guide in the double duckie. The most important thing is that you know the techniques of self-rescue and the difficulty of where you are going to get and never throw yourself in a river alone, it is better to always do it in a group. This is a law of kayakers. There are even kayak greats who always practice and know well where they get and have needed help. Choose your destination well is essential to ensure a satisfactory experience, as you get into a few rivers, you will acquire the necessary experience to determine the route to follow in the fast this can be done from the kayak or from outside. Generally you are looking for an area of the river in which the obstacles that appear do not generate inconveniences. Learn to read the river, practice rescues in the water, learn to descend safely, and much kayak technique in whitewater. Descending rivers by kayak is in itself a fast-paced discipline and only suitable for the bravest. But to dare to do it in the wildest rivers is a madness within the reach of very few. A wild and impetuous river, with numerous obstacles in the current, will provide adrenaline to every fan of the descents. 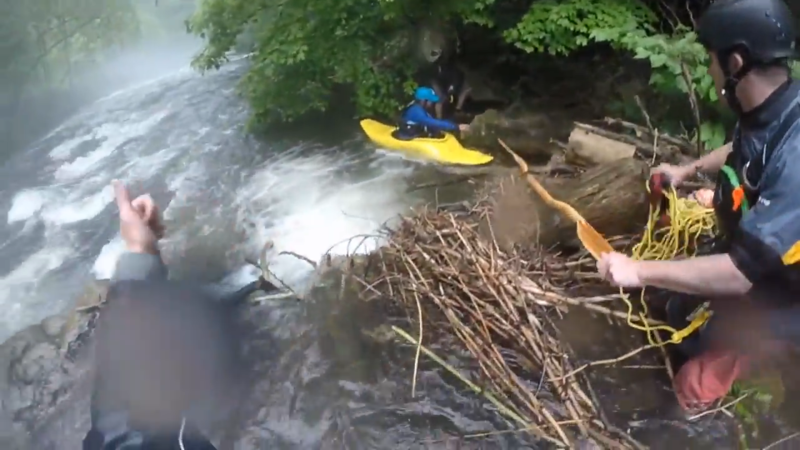 But paddling through the bravest rivers on the planet sometimes carries committed moments like the ones we can see in this video.